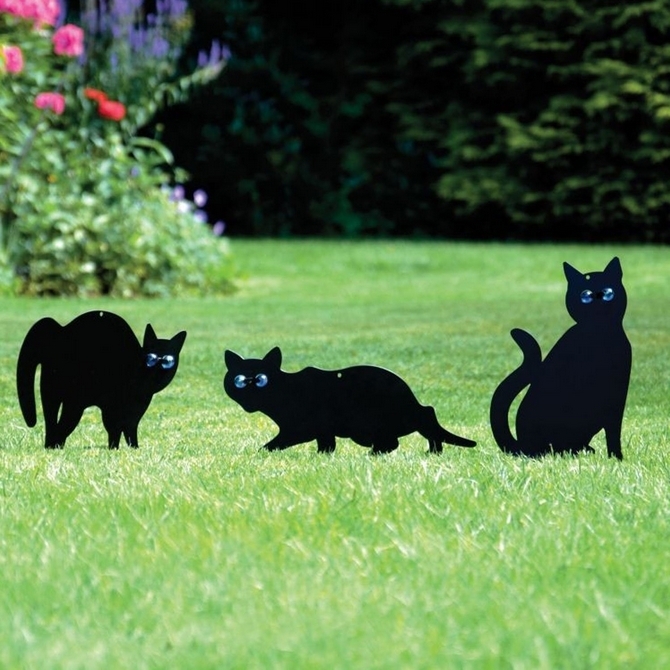 The harmless way to keep out nuisance neighbourhood cats and pests. 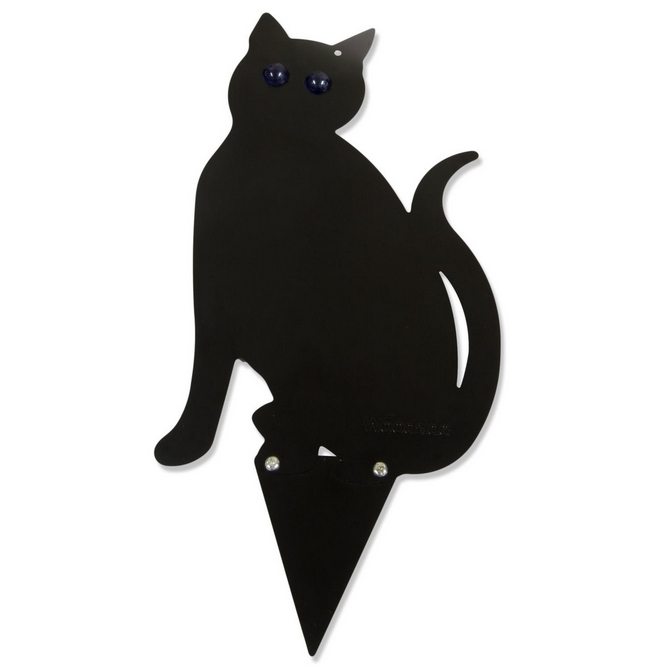 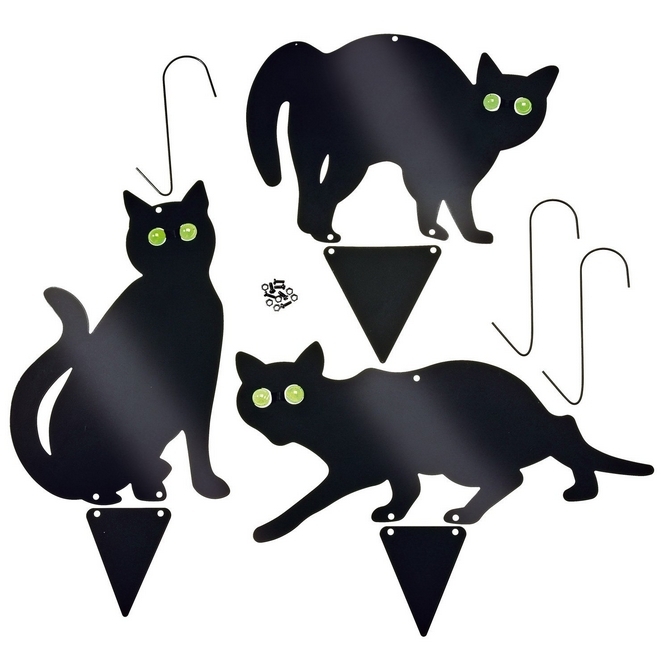 Set of 3 Cat Scarers in Three different poses. 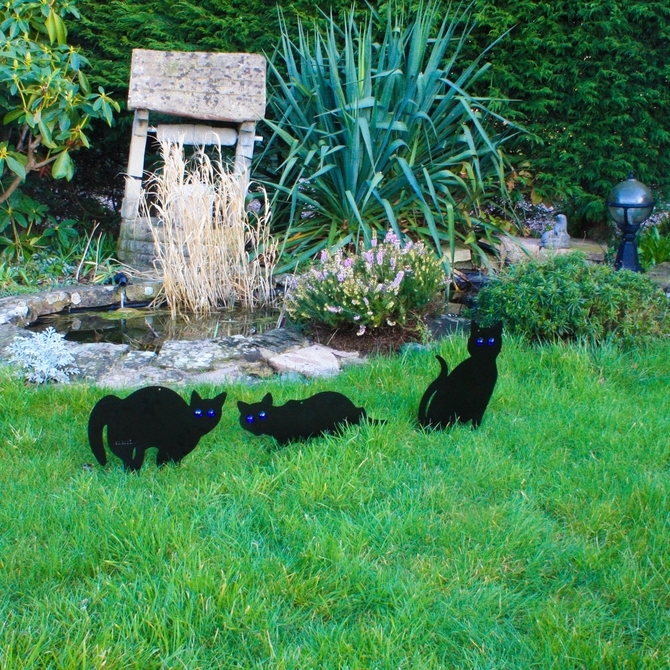 Sitting, Scared and Stalking. 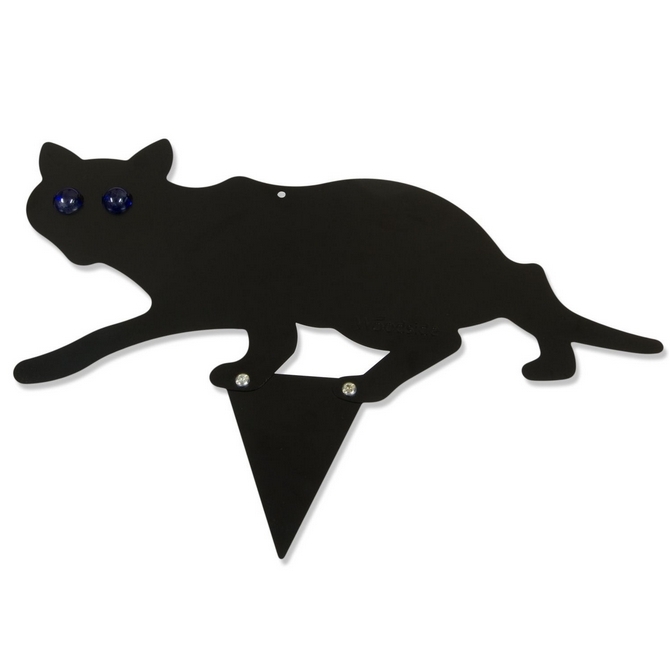 Will keep cats and rodents away from your flowerbeds and vegetable patches with their piercing green marble eyes harmlessly. 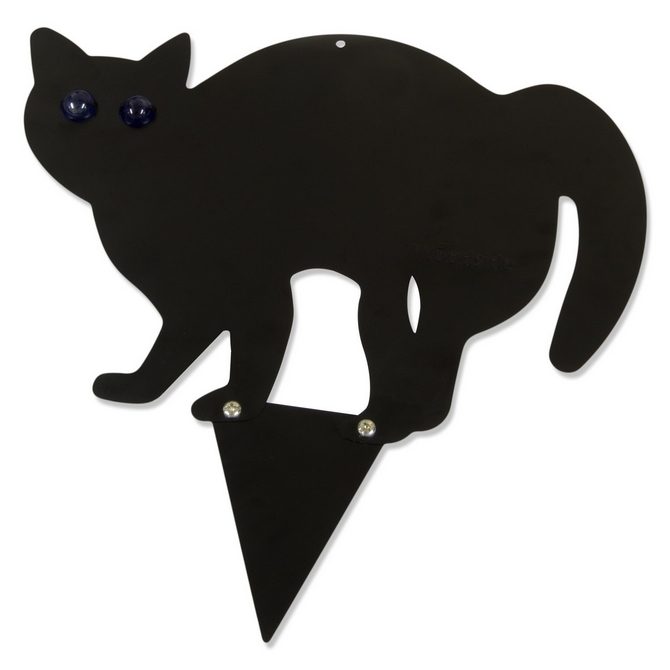 Stalking Cat measures H17 x W36cm.